Last summer I found myself exploring an early Iron Age home at The Crannog Centre on Loch Tay. 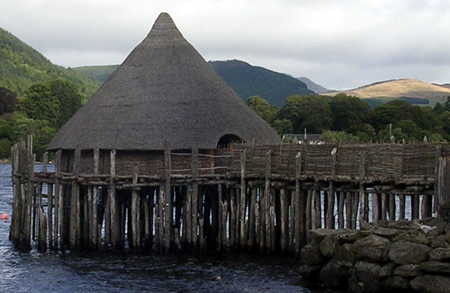 The Crannog was cosy, as its focal point was the Iron Age hearth – a large open fire. During the day the inhabitants would peel back wicker shutters to let in fresh air whilst they tended to their animals, making food and clothing and ground spelt for bread.